My Online Creations For Helping You Improve Your Speech To A Great Level And Eventually Overcome Your Stuttering Challenge. Below is a brief description of some of my most popular and most powerful online products/services I have available. As you read through the sections below, keep in mind how these result oriented and very affordable products can help you to take your speech, your communication skills and your life to a totally new level! This is the first program I created for people who are going through what I had gone through for years. This program is what I wish I had when I first decided to do something about my speech. 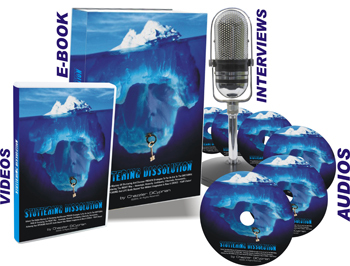 The complete package includes ebooks, audios, videos and interviews. SDMP focuses more on the Inner Game Of Stuttering. 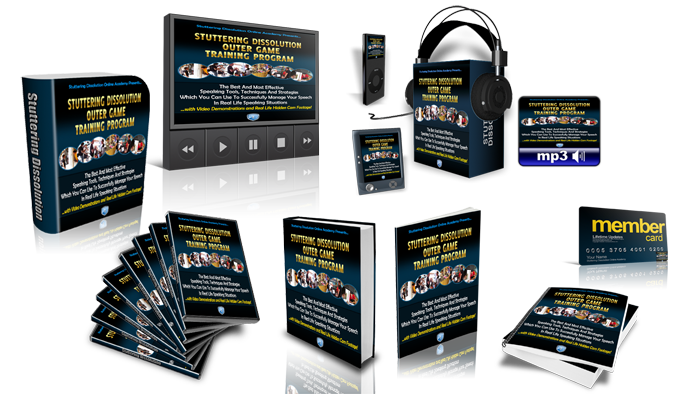 “Unlock The Hidden Mystery Of Stuttering and Discover Proven Strategies To Put An End To The EMOTIONAL PAIN Of Stuttering The RIGHT Way – Knowingly, Honestly, Confidently, Effectively, Permanently… Achieving Your Speaking And Life Goals Beyond Your Wildest Imagination Is Now A Choice – Your Choice! Just click on the button below to access the SDMP video and learn more! I strongly believe that SDOGTP is one of its kind and better than anything else I have ever come across online… and offline. SDOGTP covers both sides of the stuttering equation but mainly focuses on the outer game of stuttering. You can click the button below to watch the video about SDOGTP and learn more. Following many requests from Stuttering Dissolution clients, I have decided to offer a highly exclusive mentoring program. I didn’t have enough time to do this and turned down these requests at first. However, I am finally convinced and decided to do this only for a selected number of people. I am offering just 3 people the opportunity to be mentored by me personally. Because I want to create 3 massive success stories to prove people that improving one’s speech to a great level is possible! These will be one-on-one mentoring sessions; just you and me! We’ll meet once a week, however we’ll always keep in touch throughout the week. you’ll have full access to me during the week and I’ll respond all your emails within 24 hours!. We’ll design your stuttering dissolution journey in the best way we can so you’ll be able to achieve your goals in the shortest time possible. I’ll record those sessions and provide them to you so you can go back and watch those sessions as many times as you like. If you are interested to learn more about the Stuttering Dissolution Inner Circle Mentoring Program and would like to get more information on it, please send me an email to mentoring@stutteringdissolution.com. I’ll be more than happy to give you more information and answer any questions you might have. However, as I said, I’ll be able to get just 3 clients. Therefore, please email me as soon as you can if you are serious about this. Please feel free to contact me anytime if you have any questions or need further help. Whether you choose to invest in the above products or not, I am always here to help you in the best way I can.